For the first time, visible light has been detected streaming from a black hole, researchers announced Wednesday. The light was visible to almost anyone with a simple consumer telescope. Last June, NASA’s Swift space telescope picked up a burst of radiation from a black hole called V404 Cygni, located in the constellation Cygnus. The outburst ended a 26-year period of inactivity and caused an international team of astronomers to point telescopes toward the hole. 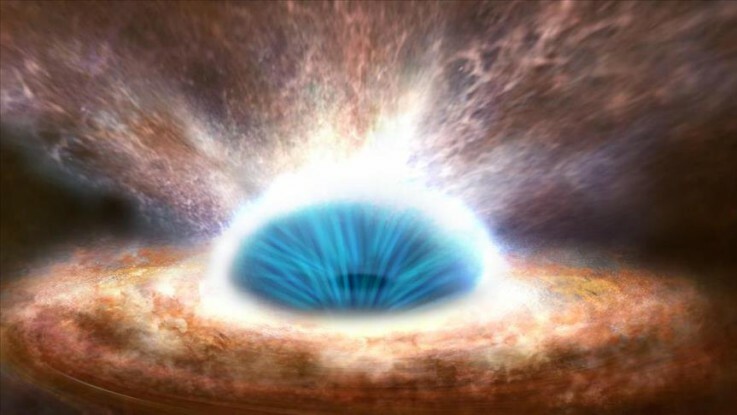 The group found that the black hole was releasing a stream of visible light it had stripped from the surface of a nearby surface with its immense gravitational pull. While scientists had observed x-rays and gamma rays blasting out of a black hole, this was the first time light, as most laymen define it, was detected. If it were not for some interstellar gas and dust, the light would be visible to the unaided eye from Earth. Amateur astronomers with consumer-grade telescopes would have been able to see the event. “We now know that we can make observations based on optical rays — visible light, in other words — and that black holes can be observed without high-spec x-ray or gamma-ray telescopes,” lead author Mariko Kimura said in a statement. V404 Cygni is one of the closest black holes to Earth — about 8,000 lightyears away. The length of the bursts of light ranged from several seconds to hours. The discovery comes a day after another team of researchers witnessed a black hole rapidly expelling a giant volume of gas after consuming a star. Using data from NASA’s Chandra X-ray Observatory, the findings were announced Tuesday at the 227th meeting of the American Astronomical Society meeting in Kissimmee, Florida. The research was published Wednesday in the journal Nature.